iTeddy is a unique, interactive toy that children will provide a wealth of entertainment. 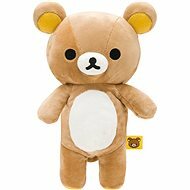 Your children have to bear can play as a classic plush, follow him on fairy tales, view photos, play games and listen to music. Just plug it to the USB port to connect to a computer to download the necessary software and upload the content at its discretion. Charging is done via USB cable, using an SD memory card you can expand bear up to 2GB. Intuitive with this cute friend manage to play all children from 3 years. iTeddy is a unique, interactive toy that provides children with a wealth of entertainment. 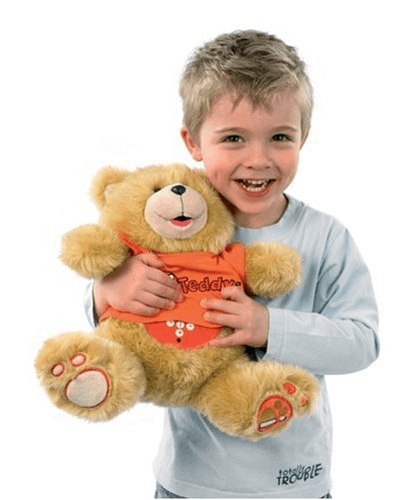 Your child can play with the plush bear as with any plush toy. However, the toy can be also used for watching fairy tales, viewing photos, playing games and listening to music. Just plug the toy to your computer with a USB port, download the necessary software and upload the content of your choice. 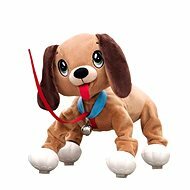 The toy is charged via USB cable. By using an SD memory card you can expand the memory to 2GB. 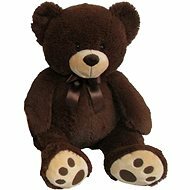 Thanks to intuitive operation system the bear can be managed by all children from the age of 3. The toy meets requirements of the European Parliament and Council´s Directive 2009/48/EC from 18 June 2009 on the safety of toys and all legal norms according to Czech legislation. Declaration of conformity with CE is a commonplace. For shipping to other EU countries visit this page iTeddy. Für Versand nach Deutschland, besuchen Sie bitte iTeddy. Chcete doručit zboží do Česka? Prohlédněte si ITeddy. Chcete doručiť tovar na Slovensko? Prezrite si ITeddy. Für Versand nach Österreich, besuchen Sie bitte iTeddy. Magyarországra történő kiszállításért tekintse meg ezt a termékoldalt: iTeddy .